TACNY Tech Community Listserv Announcement: Volunteers Needed For Two January 2014 VEX Robotics Competitions! For the mechanically-inclined readers of the CNYO website, the following request-for-volunteers-and-expertise was sent to the TACNY listserv today. If you can help, please consider doing so! Greetings and Happy New Year from TACNY and The MOST! – which event you are interested in volunteering for. If you can volunteer, please arrive at the event(s) at or before 7 AM, as registration begins at that time. Details regarding the events can be found on the associated links above. Your time and energy are valuable and invaluable!! Volunteers will receive a breakfast snack and lunch at both events. Both competitions are substantially supported by TACNY, Lockheed Martin, TimeWarner Cable and NASA. Please share this note with your associates, colleagues and students. We do hope that many of you can assist!! 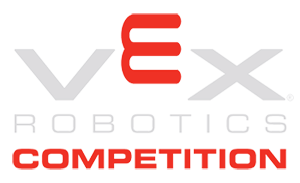 Please email dplumley@most.org if you would like to be a VEX competition volunteer! !